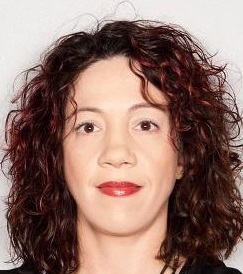 Krista Bean (Scripts & Scribes): After working at Sebastian Literary Agency, you started Red Sofa Literary. What caused you to go out on your own? Dawn Frederick: During my time at Sebastian Literary Agency, I was beginning to build a very specific type of list, one that would be best described as “quirky”. It was a natural step to start Red Sofa Literary so I could continue that growth. By far one of the best decisions I’ve made; I’m extremely proud of the direction my agency has gone. It should be noted that Laurie Harper is a dear friend, as well as a colleague to whom I still look when I need advice regarding Red Sofa Literary. I wouldn’t be here today if it wasn’t for the guidance she provided and the confidence she gave me. Krista: What’s the toughest part about running your own agency? Dawn: Handling all the administrative responsibilities! I do enjoy them, but there are times where I have to prioritize my “to-do” list. Sometimes this means a book I am considering will have to be moved down on the list so that the business of running the agency is taken care of first. This could be the challenge for any creative entrepreneurship. Krista: You’re based in Minnesota – what would you say to people who might be hesitant to apply to an agency that’s not in New York City? Dawn: Where an agency is based doesn’t negate the expertise or professionalism it will provide to an author. We’re living in the 21st century — there’s a reason why there are more publishers and agents working outside of NYC. We have email, social media, writing conferences, Skype, and other tools through which to communicate, conduct business, and stay in touch. Minneapolis and St. Paul are on the list of top 10 literary cities every year – often taking two spots, not just one as the “Twin Cities”. 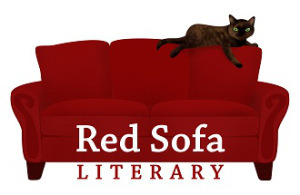 While Red Sofa Literary may not be based in New York, we have numerous publishing entities here; as well as many talented publishing professionals, writing organizations, MFA programs, and writers who live in these cities, too. I’m honored to have my agency based in such a special place. • A smart hook (vs. imitating books that are already published). • What the book is about, summarized in 2-3 sentences. • Knowledge of the current publishing market and our agency categories. • The necessary platform to match any nonfiction book idea. Dawn: I will know between pages 25-50 if the book works. Yes, it happens that quickly. That’s why it’s absolutely mandatory any author hoping to get published doesn’t rush the process and takes the time to ensure that the book is its best before an agent reads it. This is how I read books for fun, too. It’s rare I’ll stay with a book if it isn’t engaging in the first 25-50 pages. Authors should assume all readers will do this! Krista: You include a list of other agencies on your website. Would it be fair to say you’re an advocate of getting great work published, even if it’s not something you yourself would represent? Dawn: I’m all about advocating for good books getting published, but at the same time, it’s not my responsibility to represent books outside my categories. There’s a very clear reason why I chose my representative categories – I know the specifics of my categories and have spent years building relationships with editors in those areas. If someone ignores my representative categories, even if it’s a great book, it’s not a good start for the author. My common advice to any writer is to do the necessary homework in advance, to only approach agents who work within the book’s specific category. Dawn: Conferences are a great way to build a support network and to be educated on the current state of publishing. From meeting writers in various stages of success (who can share their wisdom), to being able to potentially form a future writer’s group or workshop and a strong group of beta readers, it’s worth every penny. There are always good classes, contests, and face time with editors and agents. Here’s a post I did in 2011 on how to prepare for a conference. Krista: Some people think once they’ve landed an agent that it’s time to just sit back, let the presses crank, and wait for the money to roll in. But how much self-promotion does an author actually need to do after signing with an agent – and even after a book is published? Dawn: Anyone who operates on the assumption that if they “write it, readers will come” is going to have rough publishing experience. As we all know, there are many distractions for any reader, between being online 24/7, busy schedules, and TV programming. Anyone who wants to find satisfaction during the publishing process needs make a point to be available on social media, while also creating real life in-person opportunities to meet other writers and readers. Maybe success doesn’t happen overnight, but the more available a person is, the more likely there will be a chance to talk about his/her book and to gradually build a readership that stays around long-term. I always encourage writers to read Christina Katz’s GET KNOWN BEFORE THE BOOK DEAL. And I’m encouraging anyone reading this interview to do it. I promise you’ll appreciate the sage advice she provides – and she practices what she preaches (which is very important). Krista: How important is it, when an author queries you, that he already has publishing credits? A platform? A large internet presence? Dawn: For nonfiction, a platform is essential, especially if one hopes to win over a traditional publisher. In the larger picture, it can make a difference, no matter the category for the book. Several years ago, I moderated a publishing panel at a writer’s conference where we discussed how publishers aren’t necessarily increasing the number of acquisitions, and it sometimes will come down to a handful of really good ideas in the end. When the slots are limited, the ideas selected out of that pool of candidates will usually include a strong author platform and/or at minimum a pre-existent readership. It helps if an author has a consistent blog, is active and engaging on Twitter, and has social media stops like Facebook fan pages or LinkedIn. My challenge to anyone is to write the best book possible, but to also ensure that there are readers who KNOW about them before agents are approached, let alone publishers. This can be the necessary win-win situation that gets a book published. It’s to the benefit of the author and the book. Dawn: Neither – Roller Derby. Dawn: Black, like my cynical heart – just joking! Dark roast, preferably. Krista: Best to have around when you’re reading – dog or cat? Dawn: Cat, I have a tortie that tries to make sure she’s draped over one of my arms while typing. While the contortion act of attempting to do my work is sometimes challenging, I wouldn’t have it any other way.